The Beatles may have last released a studio album 44 years ago, but the band can claim something beyond the grasp of modern-day singers still cranking out records—an Apple TV channel of its very own. You say goodbye? 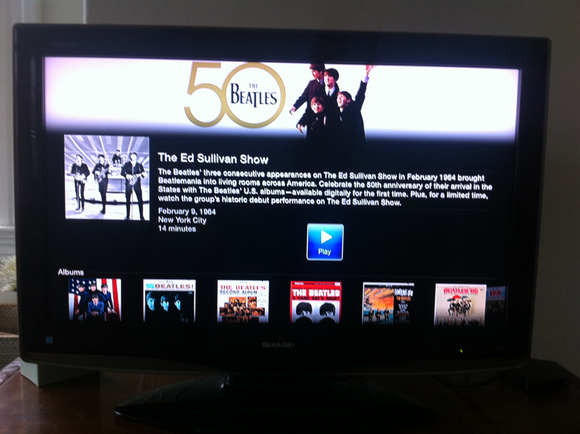 I say hello to The Beatles channel on Apple TV. You could be forgiven if you chalk this up to another instance of Apple’s ongoing Beatlemania—after all, we are talking about the company that heralded the arrival of Beatles song on the iTunes Store as a day “you’ll never forget.” But there’s something more interesting at play than the hold four lads from Liverpool might have on the hearts and minds of Apple executives. Apple has put event-specific channels on the Apple TV before—the iTunes Festival channel streams live performances from the monthlong series of concerts and an Apple Events channel carries live coverage of Apple product launches. 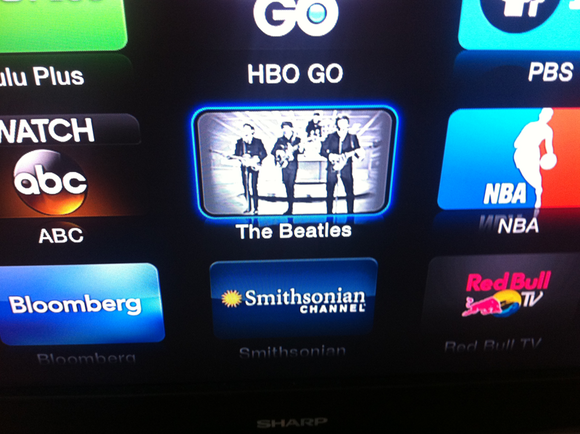 But the Beatles channel stands out among Apple TV’s assortment of news, sports, and entertainment channels by the fact that it’s focused on just one specific group. It wouldn’t take much squinting to see Apple striking deals with other acts for similar channels, or even expanding this dedicated channel approach to promote specific movies and TV shows. The Beatles’ heyday may have been Yesterday, but the arrival of a channel dedicated to the band suggests an intriguing future for the kinds of content you’ll find on Apple’s set-top box.